Munich - With only five weeks to go until FC Bayern München and Hamburger SV kick off the 2015/16 Bundesliga campaign, the champions officially opened their season with a team presentation at the Allianz Arena on Saturday. Fans also got a first glimpse of Douglas Costa in Bayern colours. The Brazilian international, who recently joined the club from FC Shakhtar Donetsk, took part in the session alongside fellow new boys Sven Ulreich and Joshua Kimmich. The rest of the club's international stars, including Manuel Neuer, Mario Götze, Jerome Boateng, Robert Lewandowski, Medhi Benatia, Juan Bernat and Pierre-Emile Höjbjerg also reported back for duty. As is tradition, the Allianz Arena crowd played a vital part inthe presentation, chanting each player's name as they emerged from the bowels of the stadium. 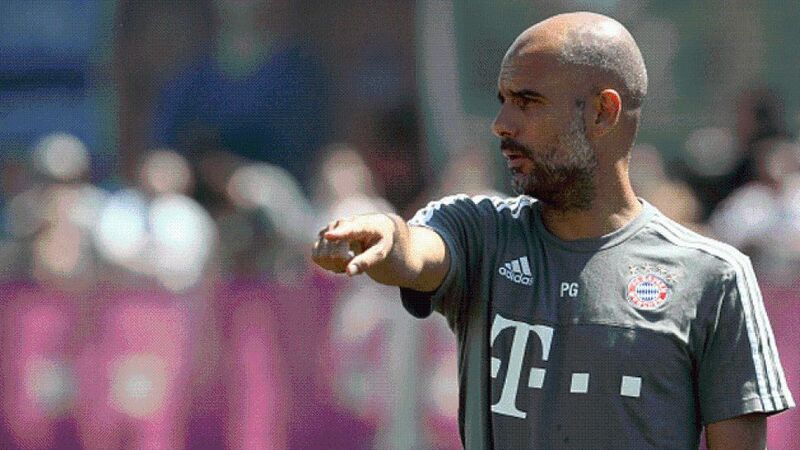 Once every player had been introduced to the crowd, head coach Pep Guardiola led a short training session. An action-packed day concluded with the club's All-Star team taking on their FC Internazionale Milano counterparts. Club legends Roy Makaay and Paulo Sergio turned out for the Bavarians, who were beaten 1-0 courtesy of David Suazo's second-half strike. Patrick Vieira and Dino Baggio also represented Inter in Munich, while FIFA World Cup 1990 winner Andreas Brehme played 45 minutes for each side.